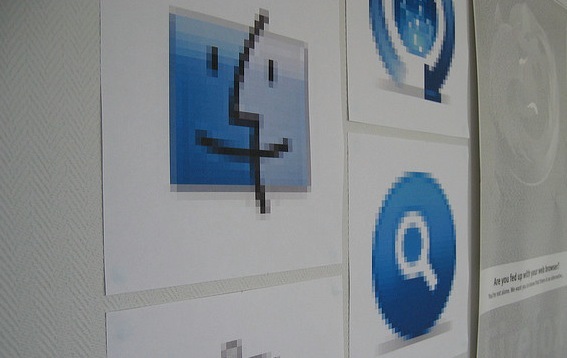 Apple has released a patch to Mac OS X 10.7.3 that it describes as a Supplemental Update. 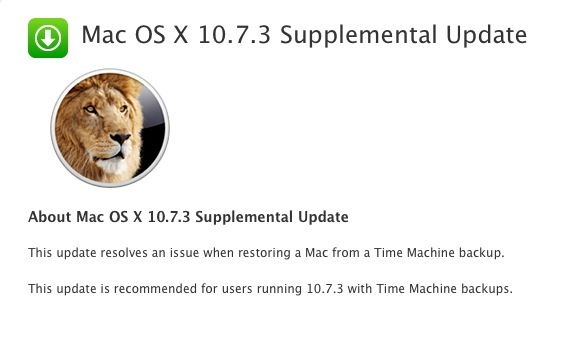 The update is designed to fix issues when restoring your Mac from a Time Machine backup. Apple originally released the 10.7.3 update on February 1st. It included a bunch of additional languages and a server update, as well as updates to the Server Admin Tools and Remote Desktop Client. Interestingly, 10.7.3 also included resources that had indications of Retina display Macs coming soon. It’s a relatively small update, running just over 24MB. You can grab it directly from Apple here or via Software Update on your Mac. You can read the full technical details of the original 10.7.3 update here if you wish.